We meet Katherine Bennett OBE, CEO Airbus UK and Andrew Rumsey, Bishop of Ramsbury. Operation Artemis aims to tackle poaching in rural communities. 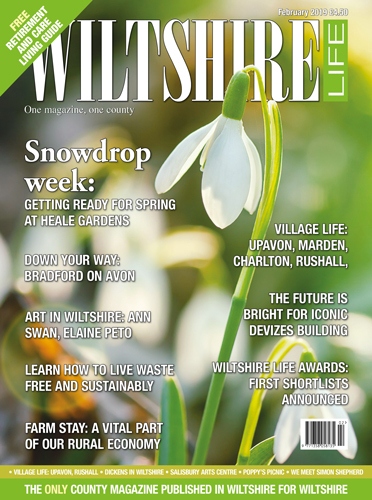 We head to Marlborough and pay tribute to Michael Gray, a champion of conservation. Village life samples Broughton Gifford and Holt. 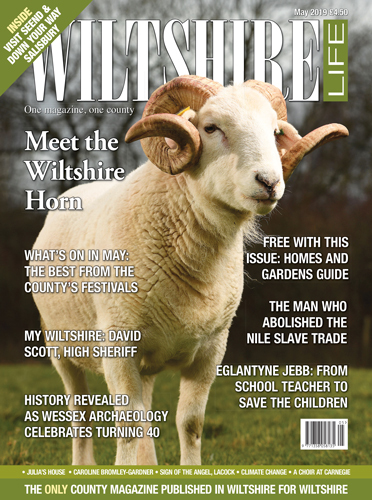 Wiltshire charity, Jamie’s Farm, is transforming children’s lives. Melissa Cole uses traditional metal working to forge timeless art. Duchess of Cornwall opens the Air Ambulance base in Semington. Marlborough artist, Mark Upton, captures Wiltshire and Qatari scenes. Wendy Searle is preparing to ski to the South Pole unaided. Debbie Carter talks caring for Oysters Coppice nature reserve. Lacock Abbey gardens in spring are filled with crocuses and fairies. Wylye Coyotes, an after school club to thriving community enterprise. We tell the story of the Cricklade Cavalier, a notorious highwayman. 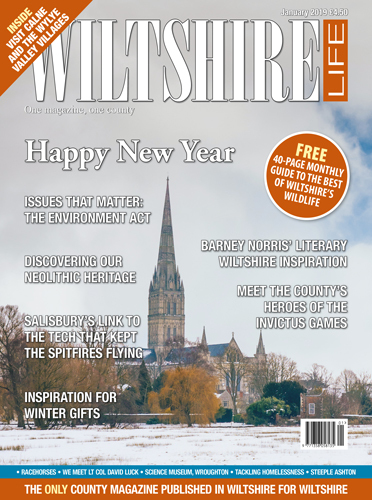 Dickens’ great friend Walter Thornbury wrote a great deal about Wiltshire. I love the cover of this month’s magazine. The hare, secretive and mysterious, still and alert. It is a striking image and they are one of my favourite animals, always a pleasure to spot when out in the countryside. 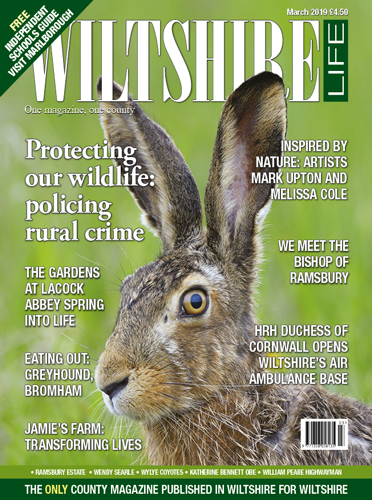 In this issue, we look at the impact of poaching and illegal sport and the ways in which the police and local communities can tackle it. It is such an important issue, and one that can elicit very strong emotions, and it is one I am sure we will return to. 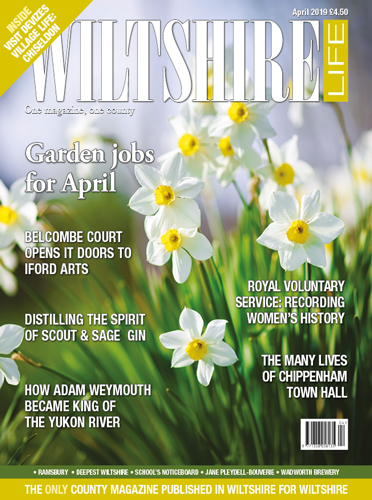 Also inside this issue, please take time to read our Independent Schools Guide.